A Filtration Consultant/Filter Expert "Who Has Done It All"
Clint Scoble, Principal Filtration Consultant of Filter Media Services, is a filter expert with an extensive history in filtration manufacturing and filter marketing. He started at age 16 in National Filter Media Corporation's (NFM) Hamden, CT plant, learning the company's weaving, finishing and converting techniques for dust bags and liquid filter cloths. Spinning weaving, heat treating, knife cutting, heat cutting, latexing, sewing and sub-operations for converted filter media filled six summers. After a four-year stint with Ford Motor Company, Scoble joined NFM's New Jersey Dust and Fume Division operation, where he began to accumulate field knowledge of both process and pollution control filtration. NFM had separated the dust bag operation from the liquid filtration side of its business in anticipation of growth due to the first meaningful Clean Air Act legislation in 1970 and 1977. Scoble became Division Manager in 1971 and held that position until leaving the company in 1984. During that period a new plant was built as NFM's dust collector bag business steadily grew, in spite of the oil embargo and less than desirable economic conditions. Before he left, Scoble acted as liaison for NFM in a newly formed partnership with BWF Group in Germany, a respected and technically focused manufacturer of needle felts for filtration. 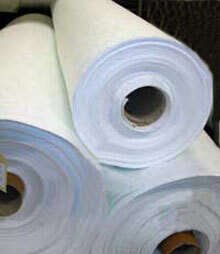 In 1984, Scoble was recruited to run Snow Filtration's dust bag, liquid filter cloth and copier filter division. The operation had faltered during an ownership change and was suffering from lack of steady management, as well as a lack of focus and direction. 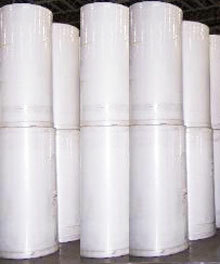 Snow's other division was the major player in non-wovens (spunbonds, point bond, wet and dry laid, SMS and similar filter media) and the faltering dust bag and liquid filtration operation was able to use some of these proprietary non-wovens in non-traditional applications. With a re-focused sales effort, a new telemarketing operation, new staff, new filter marketing and cost controls the division swung to a profit. However, ownership changes again impacted Snow, and in 1989 Scoble began negotiations with BWF Group of Offingen, Germany. BWF was unhappy with its existing U.S. partner and wanted to found a company, partner-owned, charged with promoting the European concept of high quality, custom needle felts for filtration. BWF, Scoble and U.S. partner John Kintsch opened the doors of BWF America in September of 1989 with good support, good quality raw materials and no customer base. However, BWF America had a filter marketing plan. That plan was to penetrate the U.S. market with high performance felts, capable of providing benefits such as better cake release, higher efficiencies, longer life, static dissipation, abrasion resistance and a number of other BWF concepts. The U.S. market for filter media, as it had been and as it is today, was commodity oriented, where price was the most important selling point and filter media quality had deteriorated from relatively high levels in the 1960's and 1970's. The key to BWF America's filter marketing success was not discovered immediately. The marketing and sales successes came when BWF stopped trying to force European stock designs on the U.S. market and instead started to design and manufacture new filter media concepts which met U.S. needs. Two examples are shaker felts (which were not used in Europe because there were very few shaker collectors in Europe) and felts for liquid filtration, which neither Europe nor the U.S. used in any significant volume. In both cases, U.S.-conceived felts were developed and made almost exclusively for the U.S. market, and sales of German felts made for U.S. filtration requirements allowed BWF America to grow steadily and profitably, while delivering value and performance as promised. Clint Scoble now employs his extensive filter marketing background to help companies and organizations in the filtration arena that want to improve their operations or knowledge base, find their niches and capitalize on their core competencies. Filter Media Services, LLC is the vehicle to provide assistance, guidance, implementation, training and monitoring for any organization with these objectives.